Don’t Just Lose The Weight. Considering Gastric Bypass Surgery? There is a better option! Are you seriously tired of trying to lose weight? Been through all the diet plans and fads? Have a hard time or really can't get to the gym? Quit beating yourself up. There is an option and it works! Orbera™ Gastric Balloon is a simple non-surgical weight loss solution. You can lose up to 3 times the weight when compared with diet and exercise alone. Orbera™ is a completely different approach to losing weight and keeping it off. Orbera Gastric Balloon More than 20 years of non-surgical weight loss. Gastric balloons have improved weight loss in over 80 countries. Orbera™ is the Non Surgical Option. I was a new patient so there was a lot of information to fill out, but the Dr. Weintraub and his assistants provided outstanding care. They were knowlegable, courteous, and professional. What I appreciated most was the extra time Dr. Weintraub took to explain the procedure and set my mind at ease. Spectacular guy and doctor who was able to methodically think through a variety of ailments, segregate relationships, and put together a comprehensive strategy to address multiple issues, far better than other top docs in the field I’ve previously seen. I would highly recommend Dr. Weintraub! It was easy to get an appointment, did not wait long, and he was very informative about all the questions that I had and was straight to the point. Dr Weintraub is excellent. He always spends time with his patient and doesn’t seem rushed to go to another. Great bedside manner. Dr. Weintraub is extremely professional and doesn't waste your time. He is very through and friendly. He took his time to explain everything to me. Very personable and funny. Staff was great to. I appreciate Dr. Weintraubs attentive manner and would like not to have to wait over a hour to get in to see him. He is a good Dr. and I appreciate his caring attitude. Dr. Weintraub is amazing ! He's like the doctors of the old days in that he actually cares about his patients and doesn't put money first. I would feel comfortable recommending him to anyone I love. 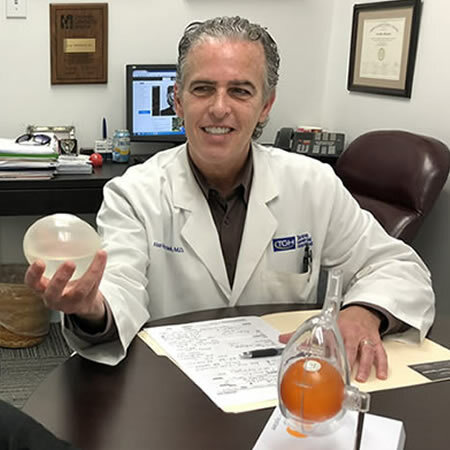 “Having practiced gastroenterology in Tampa for close to 30 years, I am able to add my personal passion for weight loss to my practice with the help of the intragastric balloon. Being a weight loss doctor and gastroenterologist, I wanted to find the best solution to help my patients. I personally struggled with weight for years and I understand the effort that is involved in trying to loose weight. * Care Credit monthly payments may vary based upon each individual’s application and contract. All pricing and products are subject to change without notice. Please consult with our staff regarding all products and procedures.